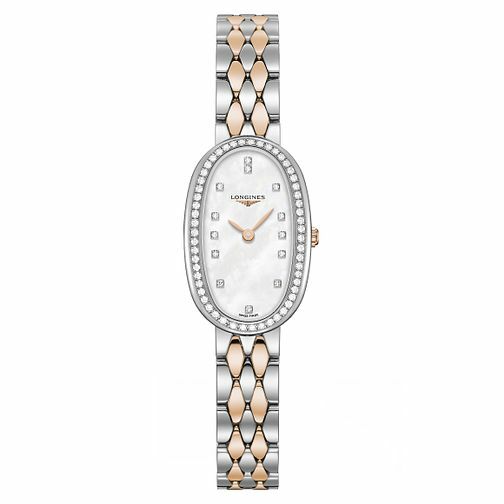 The elegant woman deserves an elegant treasure with this gorgeous, petite watch from Longines that features two colour tones of stainless steel and rose gold plating. The dial is embellished with glamorous pavé set diamonds set around the bezel and also serving the function of the numerals. A product of hundreds of years of Swiss watchmaking expertise.